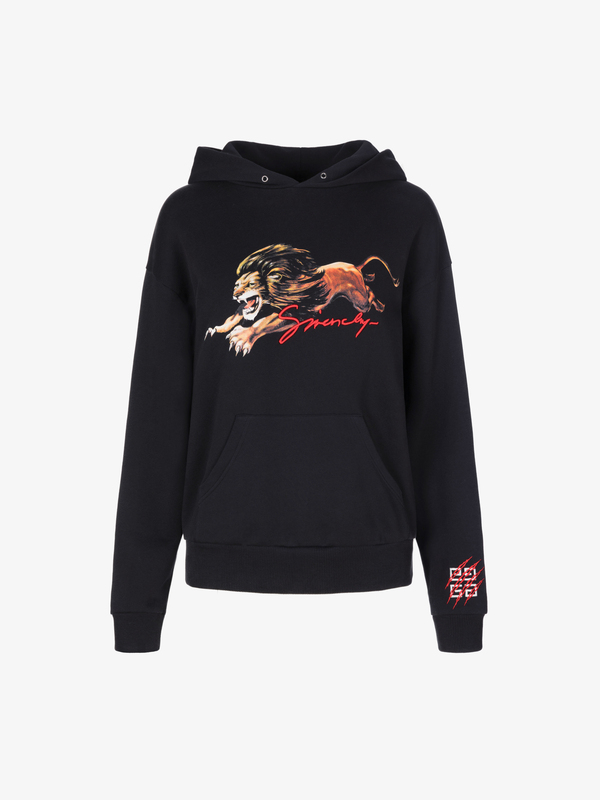 Black felpa hoodie with Leo zodiac print and red handwritten GIVENCHY signature embroidered on the front. White 4G emblem with red designer label embroidered on the left sleeve. One large pocket on the front.